seattle’s new hivster- a look back in silence « AFTER THE POP ! a new hiv site has been borne from collaboration in seattle. gay.com has sponsored an hiv friendly site that brings cultural competence out in the open. it feels right. here is one of the articles i found posted. i am gently reminded yet again that being different has a dark side. 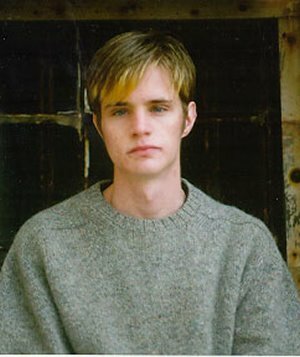 Today marks 12 years since Matthew Shepard’s tragic death. In 2001, my Mom wrote about his death and how it deepened her fears for about me being young and gay. Written almost ten years ago, her story still speaks directly to the violence and turmoil we endure. My mom passed away 7 years ago but I know wholeheartedly she’d be fighting with all her might to help the LGBTQ youth who are hurting today. Seeing it felt like a blow to my gut. My eyes immediately stung with tears, the kind that grip the corners of my eyes, refusing to fall. I came across it while researching the Internet for information on Matthew Shepard. There wavering on my screen was an image of Matthew Shepard’s disembodied face frozen in a sad expression engulfed in animated flames. The words jumped off my monitor: “Matthew Shepard has been in hell for 838 days. Eternity — 838 days = Eternity.” Even the URL made me grimace — www.godhatesfags.com. On October 7, 1998, Judy Shepard’s world shattered. I can’t begin to imagine her pain at knowing how her son Matthew suffered, just because two sick young men hated gays, found a victim on which to unleash their rage, and left her son Matthew to die on a Wyoming fence. This entry was posted in brandon flowers, gay.com, HIV, hivster, look back in silence, matthew shephard, seattley. Hivester.com is a collaboration between Jesse Kendall and Brad Crelia of Seattle, WA. oops brad.. i guess i misunderstood my source. my apologies and will post again with a correction.